The London Organising Committee of the Olympic Games and Paralympic Games (LOCOG) has confirmed that a further batch of contingency tickets are now on sale athttp://www.tickets.london2012.com or via phone at 0844 847 2012. Additional tickets to a number of sports are on sale. The London Organising Committee of the Olympic Games and Paralympic Games (LOCOG) has confirmed that a further batch of contingency tickets are now on sale at http://www.tickets.london2012.comor via phone at 0844 847 2012. Additional tickets to the following sports are on sale: Gymnastics Artistic, Gymnastics Trampoline, Tennis, Basketball, Cycling Road, Volleyball, Beach Volleyball, Taekwondo and Archery. Approximately 50,000 tickets are available following the finalisation of more venue seating plans. As LOCOG receives tickets via the resale platform and releases further contingency tickets, they will be made available on a regular basis between now and Games time. Customers are advised to check the website regularly for the latest availability. Based on the high demand for tickets from the public, particularly for Gymnastics, LOCOG has made a number of seats within hospitality suites available at the North Greenwich Arena for the public to buy tickets to watch Basketball, Gymnastics Artistic, andGymnastics Trampoline. In recognition of Visa’s longstanding support of the Olympic Games and Paralympic Games, only Visa (debit, credit and prepaid) can be used to purchase tickets. Wheelchair users can check the availability of wheelchair spaces and purchase tickets by calling 0844 847 2012 to speak to the London 2012 Accessibility team. 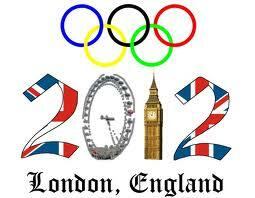 LOCOG Commercial Director Chris Townsend said, "More great tickets to watch Olympic sport have gone on sale. Further tickets will be released on an almost daily basis from now until Games time. We encourage anyone interested in buying tickets to visit the ticketing website regularly to check the latest ticket availability." For further information please contact the London 2012 Press Office. The Worldwide Olympic Partners who support the London 2012 Olympic Games and the National Olympic Committees around the world are Coca-Cola, Acer, Atos, Dow, GE, McDonald’s, Omega, Panasonic, Procter and Gamble, Samsung and Visa. LOCOG has seven domestic Tier One Partners - adidas, BMW, BP, British Airways, BT, EDF and Lloyds TSB. There are seven domestic Tier Two Supporters – Adecco, ArcelorMittal, Cadbury, Cisco, Deloitte, Thomas Cook and UPS. There are now 28 domestic Tier Three Suppliers and Providers – Aggreko, Airwave, Atkins, Boston Consulting Group, CBS Outdoor, Crystal CG, Eurostar, Freshfields Bruckhaus Deringer LLP, G4S, GSK, Gymnova, Heathrow Airport, Heineken UK, Holiday Inn, John Lewis, McCann Worldgroup, Mondo, NATURE VALLEY, Next, Nielsen, Populous, Rapiscan Systems, Rio Tinto, Technogym, Thames Water, Ticketmaster, Trebor and Westfield. There is one domestic Tier One Paralympic Games-only Partner, Sainsbury’s and two domestic Tier Three Paralympic Games-only Suppliers, Otto Bock and Panasonic. The London 2012 Paralympic Games also acknowledges the support of the National Lottery.